The 88th Academy Awards are less than a week away. We’ve already taken an in-depth look at the Best Picture contenders and offered our own take on the best of cinema in 2015 but now it’s time to lock in our Oscar predictions. James: So, the Oscars are less than a week away and it’s time to get into nitty gritty. Brett: The ceremony normally starts with Best Supporting Actress, so we can start there. My top pick is Jennifer Jason Leigh in The Hateful Eight. Though I have yet to see Carol and The Danish Girl, I think Leigh provided the Tarantino movie with one of its most interesting and enigmatic characters. She was also the one best able to add the sense of mystery the movie really needed and you began to feel an odd sense of sympathy for her throughout the movie, even after knowing the secrets. James: It’s a shame that Leigh has never been nominated before considering her body of work (Fast Times at Ridgemont High, Georgia, Mrs. Parker and the Vicious Circle), however I was a bit of an agnostic on The Hateful Eight and her performance as a whole. My personal preference would be Rooney Mara’s performance in Carol, but it seems the Academy will likely chose either Alicia Vikander (for The Danish Girl) or Kate Winslet (for Steve Jobs). Agree? Brett: This is actually a difficult one since there’s no real ‘stand out’ performance. Normally, Best Supporting Actress is among the most obvious to predict, but none really have the momentum of previous winners like Anne Hathaway for Les Misérables, or Lupita Nyong’o for 12 Years a Slave. There’s also no “it’s about time” nominee (i.e. an performer nominated numerous times but who has never won) to send an Oscar their way. I think Winslet might win because she’s the more ‘established’ nominee, but I think Leigh actually has a legitimate shot. I’m long shotting it and going with Leigh. James: It’s definitely the hardest of the acting races. There doesn’t appear to be a whole lot of passion for any of the films themselves (Rachel McAdams is the only nominee with a corresponding Best Picture mention but she gives the mutest performance in the entire category) and I agree neither really has this urgent sense of “must reward.” I’m predicting Vikander because of her SAG award win and because she’s really the only one playing a proven Oscar trope-like character (the long suffering wife). Plus, she’s had an amazing year (Ex Machina, The Man From U.N.C.L.E., Testament of Youth) and might be awarded for her burgeoning “it girl” status. That said, Winslet (BAFTA and Golden Globe winner) might prevail if only for the photo opp with probable Best Actor winner and former Titanic co-star Leonardo DiCaprio. I think Leigh’s performance is too tough for a win in end though. Brett: You make a couple of good points here. Vikander did have an incredible year and if she was nominated for Ex Machina, I might even give her a little bit of extra points because this is the category that has a better tendency of awarding chances/unconventional roles. I was originally going to knock her down a peg because my initial reaction was that the Academy generally doesn’t honor first stand-out years for a performer, but that’s mostly true for Best Lead Actor/Actress. Plus their love of tropes. However, you are very much right about them wanting to play into Titanic fever. James: Supporting Actress may be a tough one on terms of predicting, so let’s shift gears to Best Supporting Actor which seems pretty easy to predict. Do you think anyone is snatching the Oscar from Sylvester Stallone (Creed)? Brett: I legitimately, legitimately hope Mark Rylance (Bridge of Spies) takes it in an upset. I saw all the nominees for Best Supporting Actor and while they all gave great performances, Rylance nailed it for me. I understand Stallone is more of a Hollywood legacy and they love to award legacies, but on a personal level, I found Rylance’s Abel far more compelling on an intellectual and an emotional level. The moment where Abel is being escorted to the car and seeing how the Soviets responded to him had me far more enraptured than any of Rocky’s medical problems. James: The way Rylance shades in delicate nuance to Abel in pretty incredible. Abel’s catchphrase of sorts, “Would it help?” is said often, but always registers differently; a testament to his careful texturing of a complicated character. Rylance has won a bunch of Tony Awards in his career and always recites a strange poem in his acceptance speeches- that could make a wonderfully weird Oscar moment. But Stallone has this in bag. I was convinced ever since he received a standing ovation upon winning at Golden Globes, or really ever since I saw Creed in a packed house with audible cheering and sobbing. Brett: I’m not surprised at his nomination and Creed was really an audience pleasing movie – but, not to harp on the point, Rylance took what could have been a throwaway character and made him the heart of the film. Stallone has this, but since I’m already 0 for 1 on Leigh, might as well continue the trend and hope for a Rylance upset that won’t happen. James: It could- Rylance did just win the BAFTA award. I’m still a little sad that Michael Keaton never got traction for Spotlight. I think that could have been a real contest since the former Birdman also have an “overdue” feel. Shall we move onto the writing categories? Brett: Sure, and also because Keaton deserved it over Redmayne last year. Plus we could have conceivably gotten Batmen vs. Bane. We still do have Batman vs. Bane though, but two Batmen… Anyway, Adapted Screenplay is a very solid list this year. I have to give it to The Big Short though. It’s a popular movie that got significant buzz a little too late, and it featured a nice combination of cleverness and humor to tackle a significant issue; the unconventional screenplay of the movie (plus the editing) helped give life to what could have been a very dry or overwhelming subject. 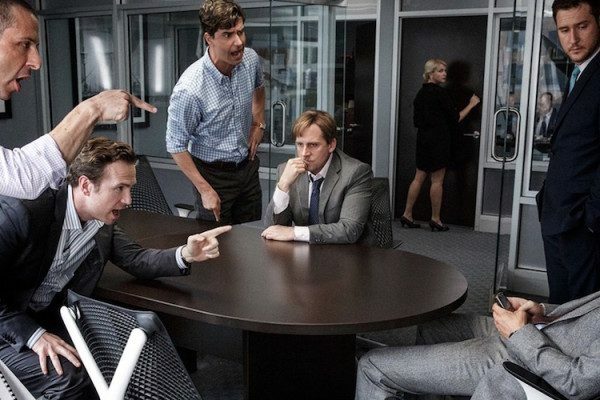 James: The Big Short is an easy call here; there’s really no way it loses in my eyes. It’s also the only film in the bunch with some Best Picture heat attached. That said, this is a terrific category overall. 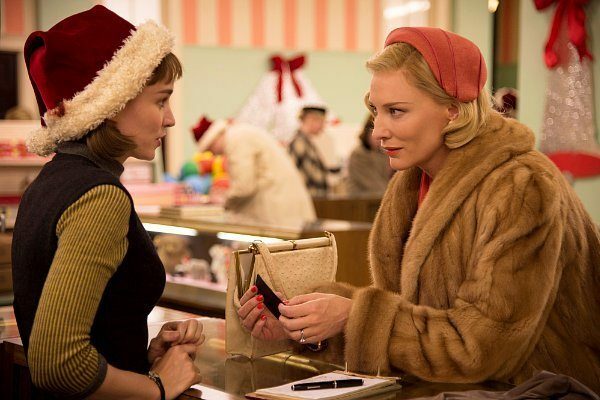 Carol was my favorite film of 2015 and while I concede it has no chance of a win here, I will not-so-secretly be rooting for it; Room, The Martian and Brooklyn are solid too. A little sad that Steve Jobs missed out but this is one of the strongest categories this year, bar none. For Original Screenplay, I feel there’s no contest either- Spotlight is miles ahead of the pack. Brett: While I found the Ex Machina screenplay a bit more clever/unique, which is something I like in my original screenplays, Spotlight has this win and rightfully and deservedly so. It’s a great story told well without any real sojourns or manufactured melodrama. It was serious and respectful and compelling all at the same time. And if it’s status as Best Picture of the Year is threatened (as I argued it might be in a previous article), it should definitely get attention for writing. James: The Ex Machina mention was a happy surprise. The Academy has a habit of dismissing sci-fi/genre-ish films. That said, I couldn’t be more pleased for Spotlight’s eventual win here. For a movie about journalism, a writing win just feels right. Brett: Back to acting? 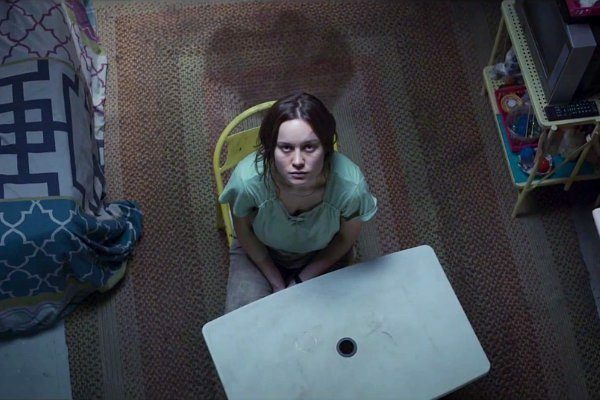 Best Actress – Brie Larson pretty much has it locked up too, doesn’t she? While I didn’t feel Brooklyn was worthy of a Best Picture nomination, I definitely think lead Soairse Ronan earned her spot on this list. But Larson has the momentum and gave the better performance and it’s kind of refreshing for a Best Actress to not be a character facing a life-ending disease or be based on a real person. James: Best Actress is so strong this year- give or take Jennifer Lawrence’s somewhat default nomination for the very shaky Joy– and while in an alternate universe Cate Blanchett would be a stronger competitor for her incredible work in Carol (have I said how much I love that movie? ), Larson is leaps and bounds ahead of the pack. A little surprising considering Room is a fairly harrowing movie- I expected Ronan to be a closer second. That said, Larson’s performance is incredible and likely, unbeatable. As is her Best Actor counterpart. Brett: This is obviously DiCaprio’s year, and again, he deserves it. Not because of all his movies in the past or all the times he wasn’t nominated, it’s because The Revenant is his tour-de-force and arguably the best performance of the year. But despite that, I was very pleased to see Damon nominated for The Martian. The Oscars rarely respect more light hearted/funny characters, and I’m glad any time there’s some headway in respecting more ‘comic’ figures. James: DiCaprio’s eventual win is so clear it’s hardly worth much discussion. What felt odd was how unexciting the Best Actor race has been all year. It almost feels like everyone took 2015 off just so DiCaprio would finally grab his Oscar. I am vehemently in the anti-The Revenant camp, so I may refresh my drink when this category is announced. I agree on your comments about Damon- it’s a terrific and fun movie star turn, one that is often ignored by the Academy. Hoping, to fruitless effect most likely, that Michael Fassbender pulls out an Oscar shock of the decade. James: DiCaprio’s commitment is admirable, but I felt the character was impenetrable in so many ways. Much like the film as a whole. Which may provide a natural segue to Best Director. Brett: Again, I have to go with The Revenant and Alejandro G. Iñárritu. I talked about this more in my Best Picture article, but the movie created such a remarkable experience and environment and a big part of that was the director (and cinematographer, etc.). My personal longshot hope though is George Miller for Mad Max: Fury Road. James: The DGA win for Iñárritu confirmed it, I think. He’s going to make history by becoming only the third director to win back-to-back Oscars (the other two were John Ford and Joseph L. Mankiewicz). 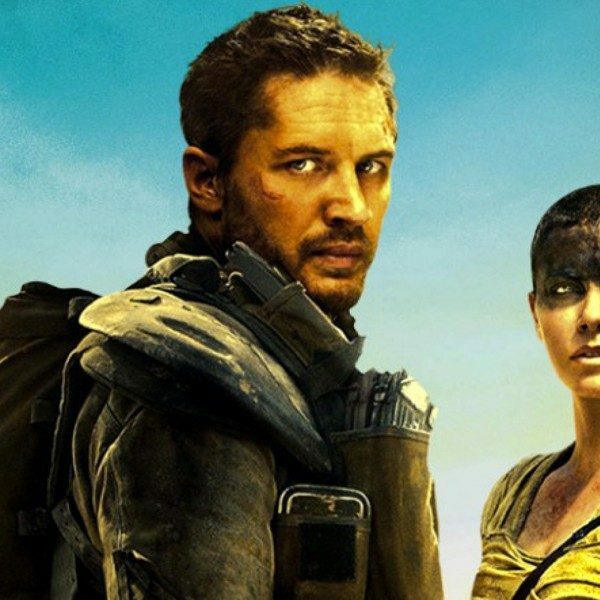 A George Miller triumph would be awesome but that’s probably not likely. Brett: I was actually surprised to see Room nominated for Best Director though. While the director did a great job of portraying the claustrophobia both in inside and outside of “Room”, I thought the fifth slot would have gone towards something a bit showier, like The Martian. Or maybe having three of the Best Director slots going to movies in practically deserted wastelands would have been a bit too much. James: I was shocked that Ridley Scott missed out, but I have a feeling that the marketing machine behind The Martian kind of dropped the ball on this one. The film did well nominations-wise (with 7 mentions) but think it was a mistake for the film to go the Comedy route at the Golden Globes (where it won); instead the Oscar campaign should have focused on the “gravitas” of the film instead of the jokes. I think that cost Scott a nomination and gave way to the Room surprise. Brett: On a personal note, I’ve never been a particular fan of the Golden Globes Best Comedy/Musical Category since it seems to practically always go to some sort of musical or biopic – though this has changed slightly in recent years with wins for The Grand Budapest Hotel and even The Hangover in 2009. There are plenty of great genuine comedies that should be respected, but the Globes almost always seem to ignore them in favor of things that toe the line of drama (or at least spectacle), such as The Martian. 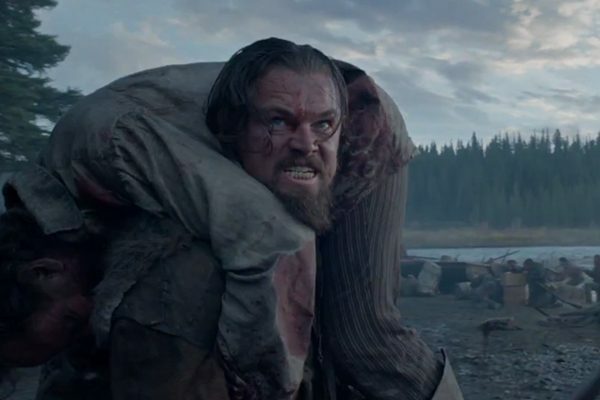 But that’s the Golden Globes, for the Oscars Best Picture, I still feel it’s down to The Revenant vs. Spotlight. 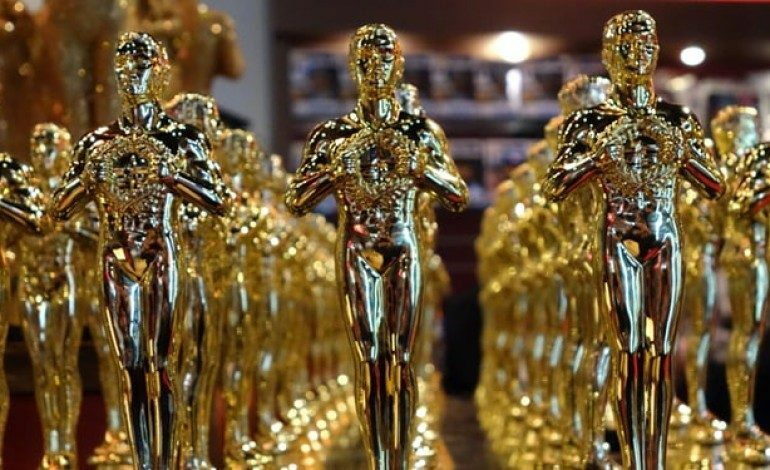 While it’s clear which movie you preferred (that being Spotlight), which do you think is most likely to take home the statuette? James: Hehe. I’m going full fatalist here because while I love the Oscars, it’s always been a fairly abusive relationship. It’s been a contentious, hard-to-read year but I think The Revenant will come out on top and win Best Picture. The rigorous aesthetic of the film and tenuous process behind the scenes seems to have taken on a sort of mythic level in the industry. My personal preference would be Room or Mad Max: Fury Road or anything else, but I think The Revenant is our winner. Brett: Are there any other categories that you want to express a hope for – whether hope that something wins or hope that something really doesn’t win? I’d ask about snubs, but that’s a question months old at this point. James: I’ll let go my fawning of Carol (though that it missed out in Best Picture and Best Director are the most egregious snubs of the year) and say that I’m hoping Mad Max: Fury Road takes home a bevy of tech trophies, particularly Production Design and Film Editing (those seem possible). On terms of wishes, I would like to extend a shout-out to the creepy/hypnotic score of Sicario, the visual effects of Ex Machina and The Look of Silence in Documentary Feature (neither of those are likely). Brett: It feels like I really need to see Carol at this point. 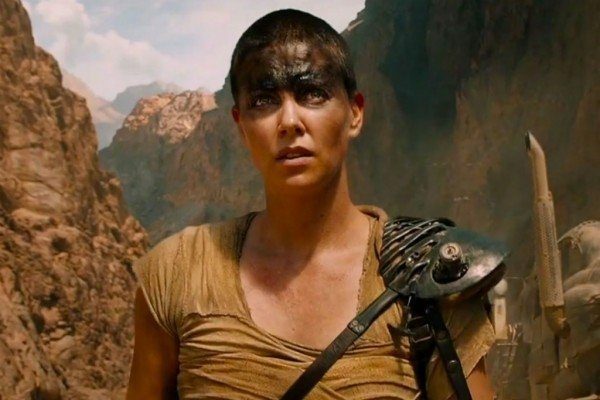 Well going back to Mad Max, I really hope it wins for Best Costume Design. Ever since Watchmen wasn’t even nominated for that award (and say what you will about that movie, but the look of the costumes across time was remarkable), I’ve been fascinated by how much the focus of nominations is on re-creating rather than creating. Beyond that, I really want Anomalisa to win over Inside Out. 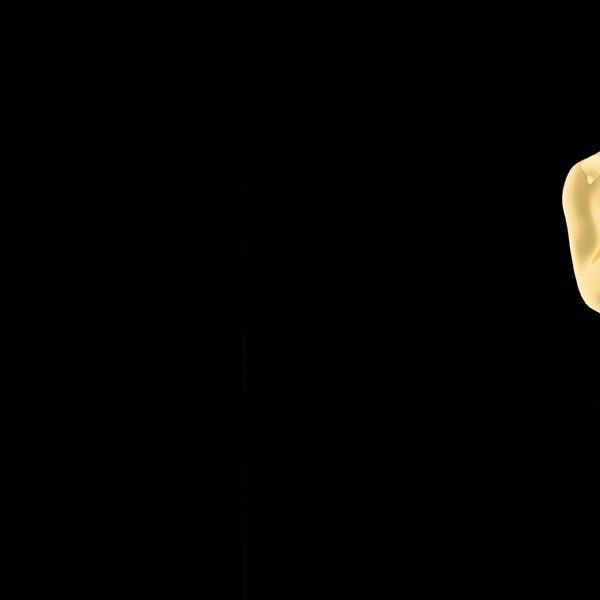 I know Pixar can do no wrong (other than Cars), but I thought Anomalisa was the better, more engaging, and more remarkable feat; if I had managed to see it before the year-end list, it would have easily made my top 5 movies of the year. Beyond that, I think the nominees were overall pretty fair, and there’s no truly egregious snubs I can think of. (Though I would have liked to see Elisabeth Moss nominated for Queen of Earth, but the Oscars tend to shun performances in smaller movies such as that one and Kirsten Dunst in Melancholia (but I digress)). So that’s pretty much it. Any final thoughts? James: You’ve already eloquently profiled that 2015 may not have been the greatest year for films as a whole, but as a whole, I agree the Academy did a fair (if not spectacular, nor particularly diverse) job this past year. Business as usual. We’ll find out on Sunday evening if our predictions come to pass.